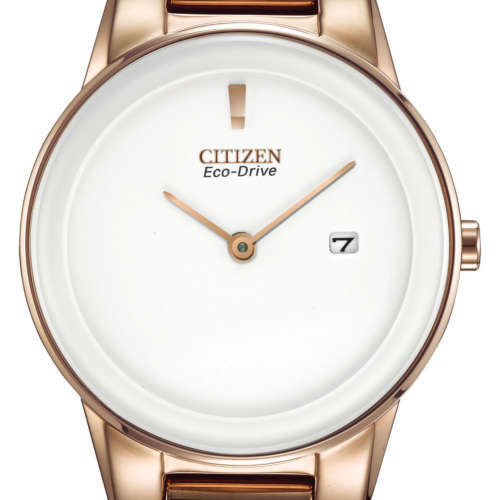 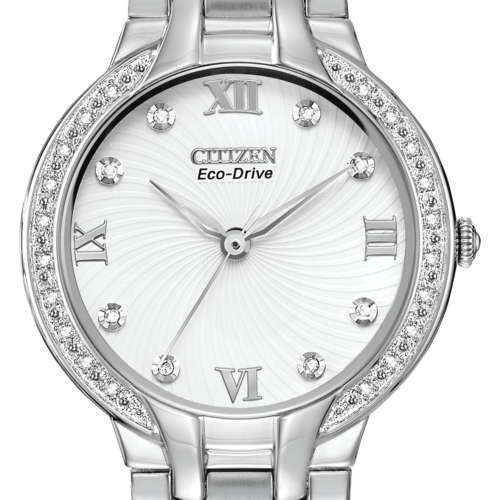 Ladies Eco-Drive diamond & stainless steel set watch. 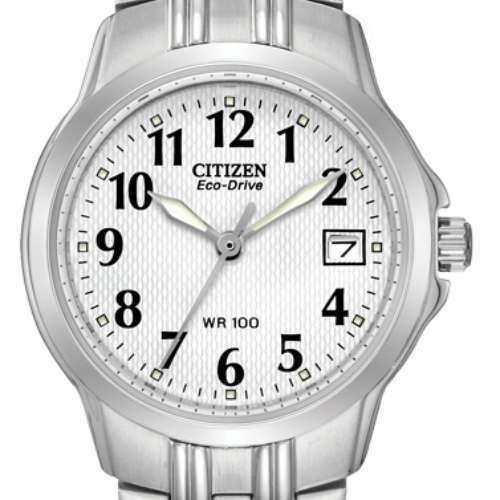 Mother of pearl face with 10 diamonds scattered with three on the bezel. 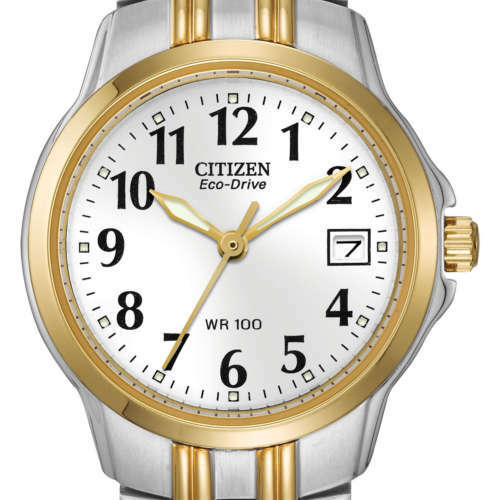 Water resistant 50meters, sapphire crystal 30mm.